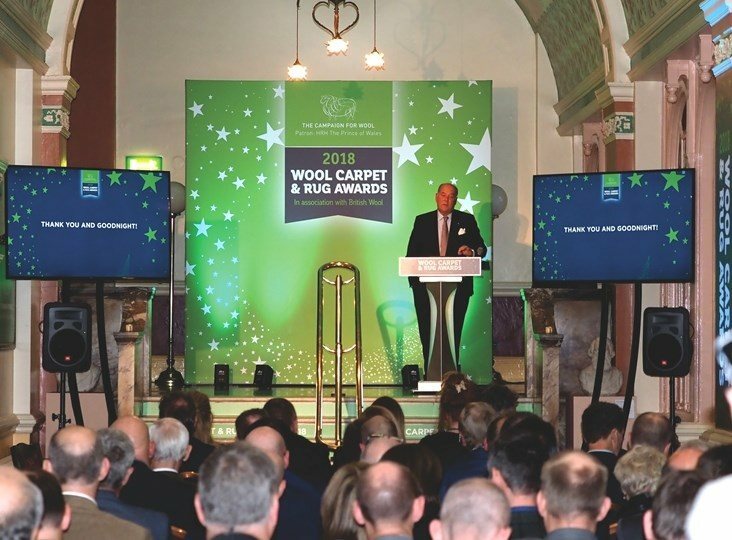 The wool flooring industry gathered this week to receive recognition at the third Campaign for Wool Carpet and Rug Awards, held as part of The Flooring Show in Harrogate, North Yorkshire. 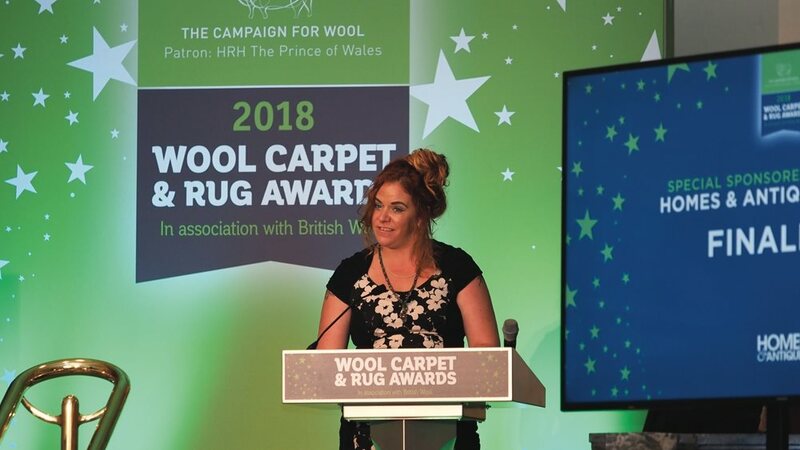 The Campaign for Wool Patron, HRH The Prince of Wales, established the Awards in 2016 to highlight the diversity and breadth of quality in design, production, innovation and marketing across the carpet and rug sector. Over 55% of wool from the UK is used in flooring, and a significant proportion of New Zealand wool is used in flooring and interiors. This year’s awards clearly demonstrated the excellence of British brands manufacturing in the UK. There were over one hundred entries for twelve categories including some publication sponsored awards, which link the competition winners to consumer homes and interiors titles. Other winners included Alternative Flooring, which scooped two consumer magazine prizes – the Homes & Gardens Award for Design Innovation with its Barefoot Quartz Citrine, Smoky and Rock wool carpets and the Homes & Antiques Rug Design of the Year award for its Authentic Lucienne Collection – Octagons, Squares & Diamonds. Roger Oates Design also won two prizes – the Residential Flatweave award for the recently launched Abigail Ahern Collection, and the Country Homes & Interiors Award for its Shetland Dart Flatweave Floorcovering. The Awards also include the Hall of Fame category, which recognises a leading carpet industry professional for their career-long commitment. This year, Martin Curtis was recognised for long-standing commitment to the Wool Carpet Industry. Currently Chairman of the Wool Carpet Focus Group, Martin continues to display energy and enthusiasm in promoting wool as the fibre of choice in the flooring industry. In accepting the award Martin Curtis said “I am deeply honoured to be selected by my peers throughout the industry, and have enjoyed the friendship and cooperation of farmers, wool processors, manufacturers and more recently the retailers through the Wool Carpet Focus Group”. Click here to a view a full list of finalists and winners.